Not only does Nebraska face No. 8 Wisconsin (4-0, 1-0 Big Ten) on Saturday in the biggest game of the season to date, but a week later the Huskers will welcome No. 9 Ohio State (4-1, 2-0 Big Ten) to Lincoln followed by three of their next four games on the road. 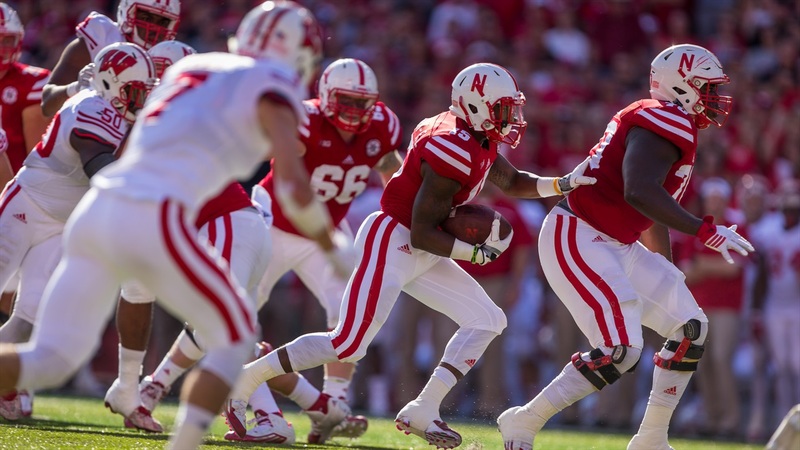 How exactly does head coach Mike Riley feel about the upcoming stretch for his squad? Riley, and everyone under him within the Huskers’ program, is squarely focused on the Wisconsin Badgers, and with good reason. Riley said this Badgers squad will be from top to bottom the best group that the Huskers have played on the season. Because of that, Riley knows his team has to be better. Better than it was two weeks ago against a Rutgers team that was just bludgeoned 56-0 by the Buckeyes. Better than it was last Friday against Illinois. There are two areas Riley points to: protecting the quarterback and running the ball. Both have been areas of inconsistency to open the season. But Riley knows his team is on the come up. He said against Illinois, his offense was more efficient than they’ve been at any time this year. The running game (4.3 yards per carry and 106 yards from junior Devine Ozigbo) complemented the passing game (246 yards from quarterback Tanner Lee with a 198.2 passer rating) and the team was only flagged twice. More than anything else, Riley knows his team will need to finish. In the past two years, the Huskers’ showdowns with Wisconsin have gone to the wire. Wisconsin won in overtime in 2016, and by just two points in 2015. Nebraska opened as 12.5 point underdogs at home to the Badgers, according to Vegas, but it's still hoping for a game. If the Huskers get what they want, Riley said they will need to play better down the stretch to pull out a win. Maybe the Huskers can look to Wisconsin’s game last Saturday and Northwestern’s ability to stay in it late as a recipe for beating the Badgers. Up until the Wildcats scored in the fourth quarter, Wisconsin hadn’t surrendered a single second-half point through its first three games. Conversely, the Huskers are outscoring opponents 74-27 in the second half this year and winning the third quarter 38-10. >> Riley offered an injury update ahead of the week and the list of Huskers on the pine looks better than it has, really, at any other point this season. Safety Joshua Kalu, linebacker Marcus Newby, tackles David Knevel and Matt Farniok, center Cole Conrad and wide receiver Bryan Reimers are all slated to return to practice this week after each missing significant time. Kalu and Knevel have been sidelined since the Oregon game, with Farniok, Conrad and Newby missing time in the last two weeks. Starting tailback Tre Bryant is still out, and was moved to the injured list on the Huskers’ depth chart for the first time this week. Riley said Bryant is out for this week and they’re not sure what his timetable looks like moving forward. “All we can do with Tre right now is hope he gets better,” Riley said. He did, however, have good news about cornerback Chris Jones, who has missed the entire season to this point rehabbing a torn meniscus suffered before fall camp started. >> Guard Jerald Foster is itching for Wisconsin. He said after the Illinois game last Friday that the Badgers have been on his target list for a while, especially after having to watch the game from his living room couch last season. >> Lee knows his team is looking at a dog fight this weekend, but said the team is prepared for it. “I think everything goes up in terms of intensity, your heightened level of focus, your preparation. Everything needs to step up when you are facing a team like Wisconsin or any team that’s ranked as high as they are or have won games like they have,” he said. >> Maybe the reason the Badgers and the Huskers have been so close in recent memory is because their philosophies are so similar. To compensate for the loss of last year’s quarterback, Tommy Armstrong Jr., and his playmaking ability with his feet, the Huskers have looked to use pulling guards and tackles in their running game to begin this season. Wisconsin is more of a gap power-based rushing attack, Riley said, but the zone components are there too. All of that adds up to a familiarity for the defense because they’ve been going against the same kinds of plays in practice since the beginning of spring ball. “Knowing it and defending it are two different things,” Riley said, though. >> Those similarities also transfer to the defense. The Badgers run a 3-4 scheme similar to what the Huskers have transitioned to under new defensive coordinator Bob Diaco and Riley said it’s something that will ultimately benefit the Huskers in terms of preparing. Lee said perhaps the group that has stood the most to gain from the increased practice reps has been the front line. “It helps out our offensive line a lot in mixing up stunts and blitzes so that’ll help us out,” he said. >> Freshman outside linebacker Ben Stille was recently named the Big Ten’s Freshman of the Week for his three-tackle-for-loss, one-sack performance against the Illini. Riley said Stille has benefitted from his work ethic and an increased opportunity to play in the games due to injuries on the depth chart ahead of him. Despite the circumstances, Riley has been pleased with what he’s seen. “Through the time that we’ve had him here I’ve just seen really, really good, hard, consistent work,” he said. >> With two displaced starters on the offensive line in Knevel and Conrad (and Farniok if you want to count his relief of Knevel at right tackle), the Huskers have turned to Michael Decker at center and Brenden Jaimes at the outside tackle to strong results. Riley acknowledged that, while the injuries aren’t something he likes to deal with, the line has actually performed better with new faces. When Conrad and Knevel return, he said there will be a discussion that will need to take place about how to infuse them back into the lineup. “How that sorts itself out will be based strictly on competition and how we feel about who gives us the best chance to win,” Riley said.